October 2015. A fence erected by Cambrian Heritage Railways Limited (as features their notice to trespassers) between Middleton Road Bridge and the Plas Ffynnon footpath in Oswestry. 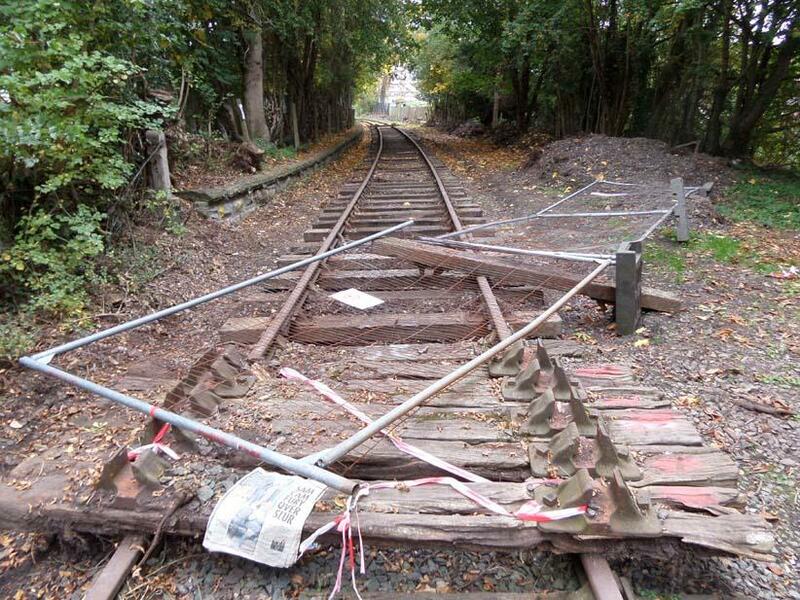 This has been put up to stop people walking along the line owned by Shropshire Council.